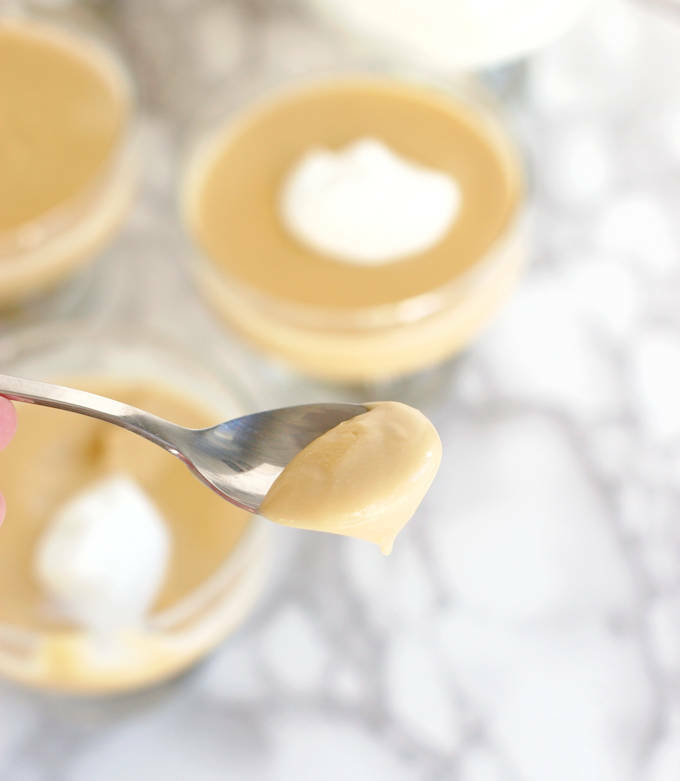 Real Butterscotch Pudding is pure comfort food. 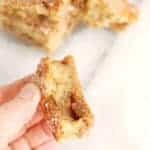 Add a hint of bourbon for a grown-up version of this childhood classic, or keep it alcohol-free for a kid-friendly dessert. Either way, it’s a delicious finale for your family dinner. We all know that family life can be hectic, whatever form your family takes! When our kids were growing up, weeknights and Saturdays were busy with games, concerts and, eventually, jobs. I will say that we did (mostly) sit down together for dinner together every night. But weeknight dinners were simple and fast and there was no lingering at the table. 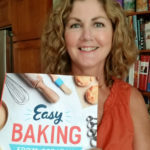 Being a pastry chef, I always worked late on Fridays and all day on Saturday, so Friday night dinners were often take-out pizza, and my husband usually cooked on Saturdays. Sunday was the one evening we were all home to enjoy a leisurely dinner. Sunday was also the one day I had the time to enjoy planning and preparing a special meal. Eventually our daughter went away to college, but our son was still home for Sunday dinner. It was a little quieter, but still nice to have the time together. I’ll admit that the first Sunday after he left for college I was at a loss. I didn’t know how to adjust to Sunday dinner with just the two of us. Luckily, we have some very nice friends who answered my plea for Sunday supper company. They helped fill the void for me that first weekend after both kids were gone. I am forever grateful! Here’s a photo I posted on social media that night lamenting the loss of our family time, but appreciating our friends for stepping into the void. 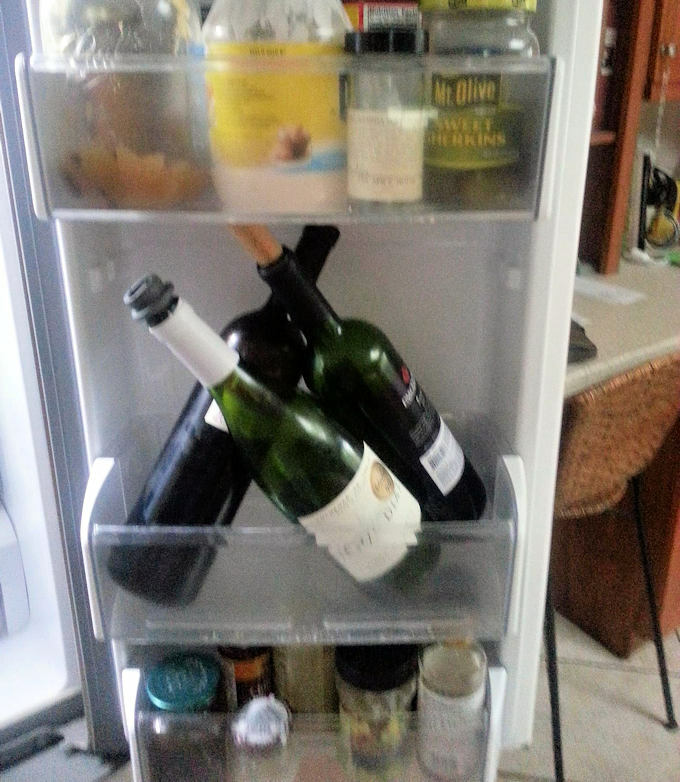 You know you’re empty-nesters when wine bottles replace the milk in the refrigerator! It took me quite some time to learn that I didn’t need an entire box of pasta or several pounds of potatoes for just us two. Eventually we adjusted, and we still managed to enjoy Sunday dinner together occasionally, even with our daughter living in Brazil and our son in Rhode Island. What you see going on in this photo really happened, more than once. 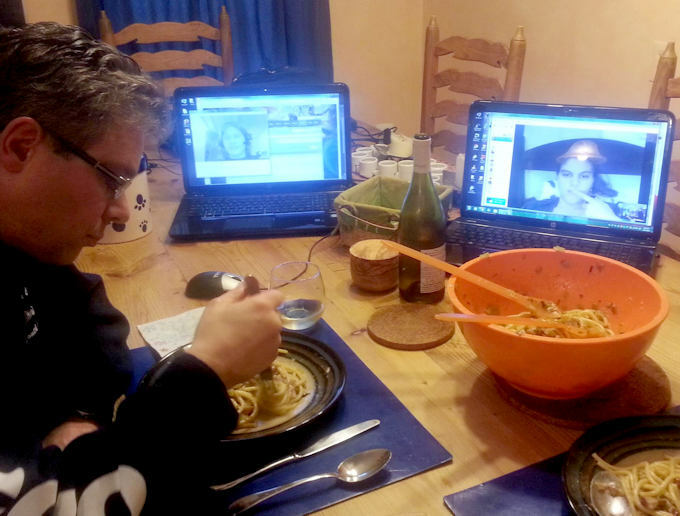 Here’s our 21st century version of Sunday Supper; Sunday Supper via Skype! 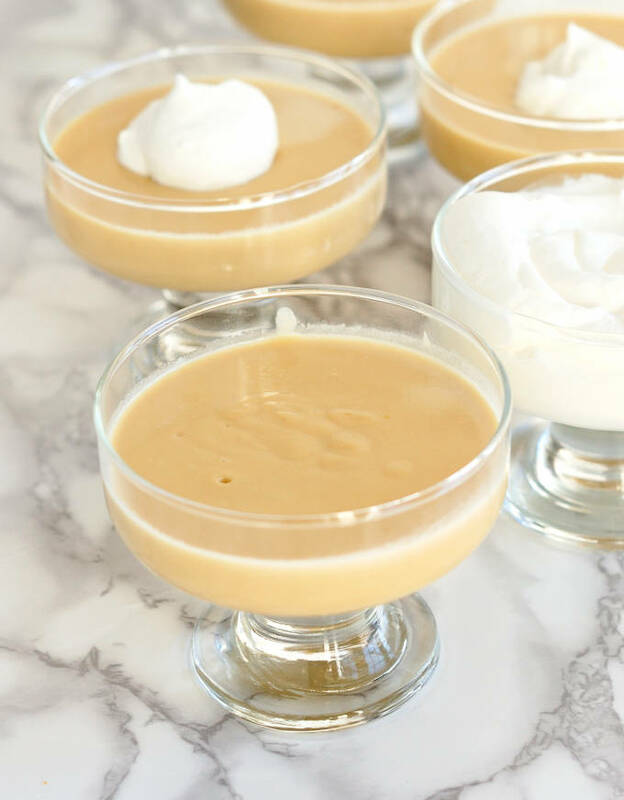 I offer you my recipe for homemade Butterscotch Pudding, hoping it will help you create precious memories with your family. 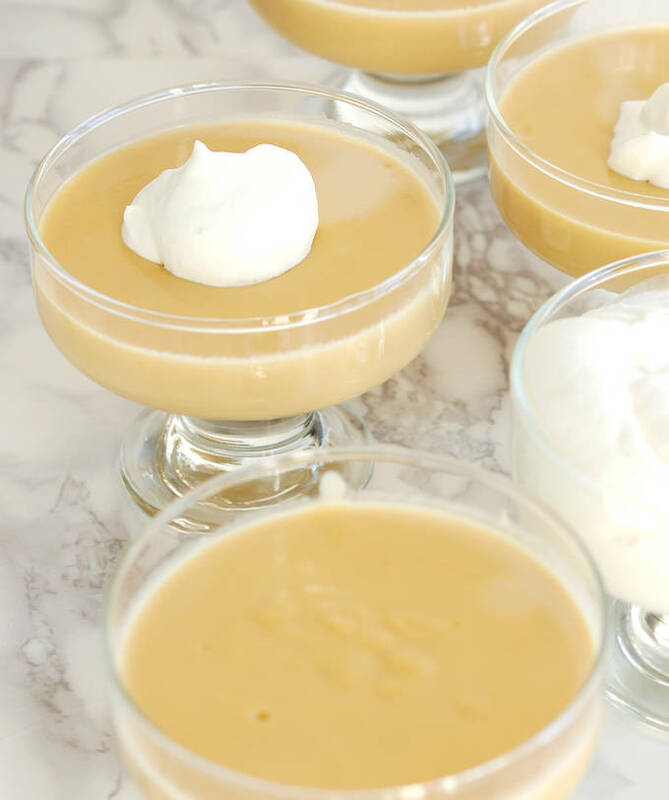 Old fashioned butterscotch pudding made with real butterscotch flavors and a hint of (optional) bourbon. Melt butter over medium low heat. Add the brown sugar and stir until the sugar looks like wet sand. Cook on medium low, stirring occasionally, for about 5 minutes. The mixture will begin to liquify. Slowly whisk in 1 cup of the cream. BE CAREFUL, the mixture will bubble up and steam when the liquids are added. Keep your face away from the pot. 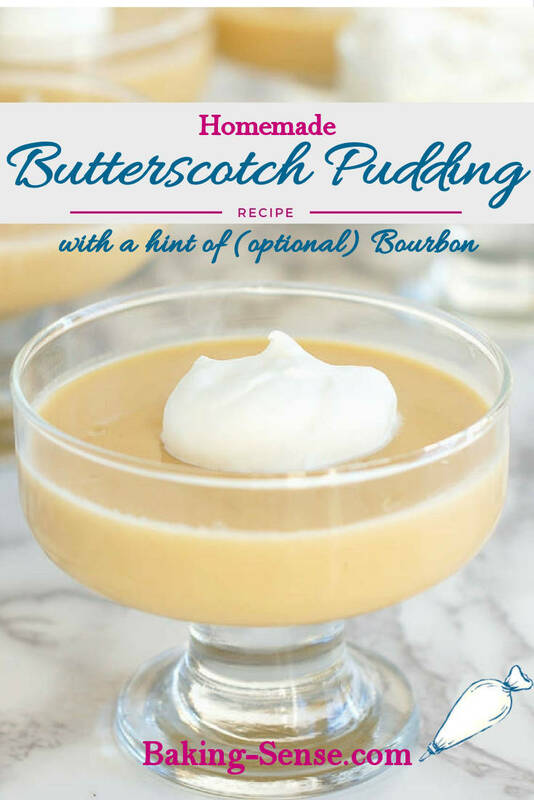 Cook over low heat for for about 10 minutes, whisking occasionally until the butterscotch becomes more viscous, very smooth and silky. Whisk in the remaining cream, 3/4 cup of the milk and optional bourbon. Reduce the heat to low. In a large bowl, whisk together the reserved 1/4 cup of milk and corn starch, add the yolks and salt. 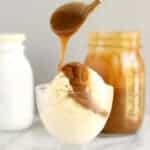 Increase the heat under the butterscotch to medium high and bring it to a full boil. Whisk the butterscotch into the yolk mixture. Return the mixture to the pan. Stirring constantly, cook over low heat until the pudding begins to thicken and just begins to simmer. Immediately remove from the heat and pour the pudding through a sieve back into the mixing bowl. Whisk in the vanilla. Divide the pudding among 6 serving dishes. I love your family dinner traditions! 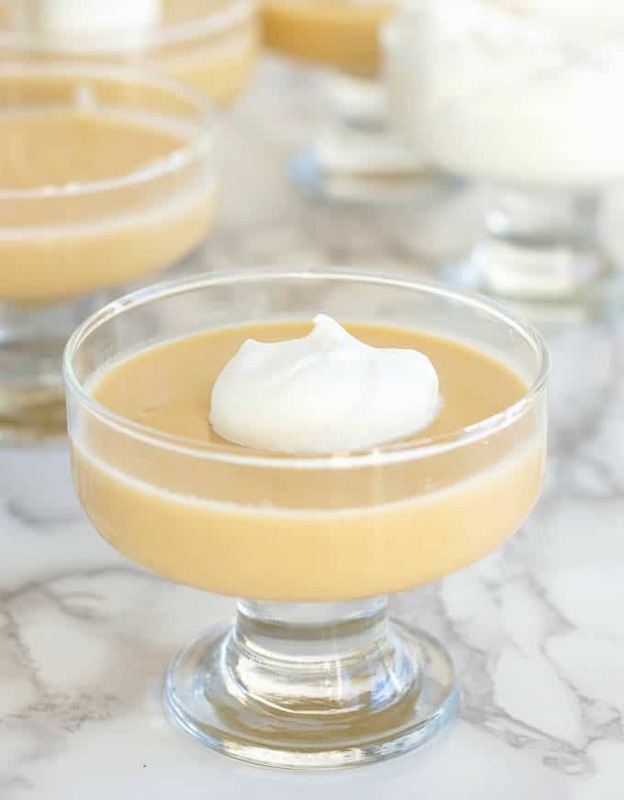 This butterscotch pudding looks outstanding too. My oldest lives in the area and comes by nearly every Sunday for dinner! So I always have to have dessert! 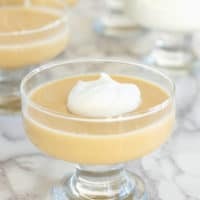 I made butterscotch pudding for the blog many years ago—I think I need to update the ghastly photos and try again. Your version looks wonderful. You’re so lucky. I wish mine lived closer. I just had them both home for a week at Christmas and enjoyed every-single-moment! Thanks, Trang. I always enjoy a little booze in my dessert, but like to offer alcohol-free options as well. 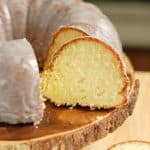 I am a serious sucker for any type of pudding. 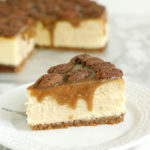 I want this for dessert! Thanks, pudding is real comfort food. I had trouble adjusting to cooking for two, too. 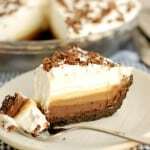 If I had this recipe then it would have eased the pain! 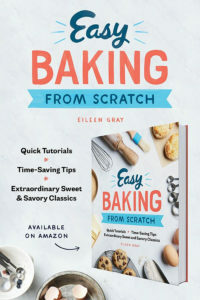 lol Eileen this sounds so good! I come from a big family (I’m one of 6). When we first got married I always made way too much food, finally adjusted, then readjusted for kids, now had to adjust back again!